The NZ Business Women’s Network invites you to the third networking dinner of 2010. The evening will include a delicious meal at Bleeding Heart – French food, Kiwi owners – and the opportunity to listen to and be inspired by Sarah Lockey, who will share her insights on leading from the heart. As always the event is a platform to connect with other New Zealand Business Women based in London from a wide variety of industries and professions. Pricing: The ticket price is £27 per person and includes a welcome glass of Trinity Hill wine, 2 courses and coffee or tea. There will be a cash bar on the night for anyone who would like wine with dinner. Sarah Lockey is a Project Leader, Coach and Writer. Over the past 15 years Sarah has managed a number of big, scary projects including: a social regeneration programme for a South London Borough; developing a new media start-up to market premium-brand drinks; managing an IT programme that touched every New Zealander; a pilot project to assist offenders settle back into the community; a programme management office for an Australasian bank. She has run several public sector departments and is currently working with a team of Very Smart Scientists, Engineers and Get-It-Done-ers in order to deliver a security product for the UK Government. On a random Tuesday in 2002, Sarah’s beloved mother passed away suddenly and less than a year later her marriage ended. She came face to face with grief and loss and began the journey of putting herself back together. Sarah spent the next four years opening her own jars of marmalade and finding out how she likes her eggs. She interspersed project work with swimming in the Aegean Sea off the coast of Santorini, running with bulls in Pamplona, trekking through the Picos Mountains, supping Chianti on a Tuscan hillside and weeping at the sound of the Last Post across Gallipoli Beach at dawn. Sarah returned to New Zealand in 2007 and began writing a blog. She spent a few months restoring an old cottage in Wellington, and met Ash. After a time, they decided to embark on an adventure together and returned to London where they now live. Writing has become a passion, and a way of being in the world. Sarah will be talking about fear and how you can turn this into power. The Bleeding Heart empire is owned by Robyn and Robert Wilson, ex-journalists who met while working in South Africa. They opened the Bleeding Heart wine bar in December 1983 and have since expanded the operation to include the Bleeding Heart restaurant, bistro and tavern in Bleeding Heart Yard EC1, and The Crypt in Ely Place EC1. They are also 1/3 owners of Trinity Hill Wines. The tucked-away location in a Holborn yard is quite special and an escape from the bustle of the city into a place of rustic charm. The food has been mentioned in Eat London by Sir Terence Conran and Peter Prescott, and said by many to ‘offer the finest French cuisine in London’. Bronwen Horton, founder of the NZ Business Women’s network, will be back from her four-month adventure around Europe for this event – an excuse for an extra glass of Trinity Hill wine if every you need one. Book your ticket today! Space is limited and our last networking dinner sold out in days. access this wine is to order a case of 6 bottles online at www.temaraestate.com. Our July event was held in the first floor dining area at the Modern Pantry located in Clerkenwell www.themodernpantry.co.uk on a hot London Monday. Following a welcome drink and networking 36 (thirsty) New Zealand women took their places in anticipation of the gourmet food and wine to come. Maggie Eyre, Professional Presentation Coach, introduced Janiene Bayliss, owner of Te Mara Estate and our speaker for the evening. The staff at the Modern Pantry were spot-on in serving both the wines and 2 courses, specially designed by Anna Hansen. Janiene spoke about her vineyard and elegant wines, and the entertaining and professional summary of what we were drinking and tasting was enlightening. Janiene gave advice on what to serve these exceptional NZ wines with: The Pinot Gris compliments a meal with a spot of spice particularly well, and the Pinot Noir was bit of a 'cross dresser' looking decidedly red, but thinking it's a white, and is a safe bet to serve with most main meals. Following dinner Janiene shared with us a more personal story about her background as an international brand strategist, how she worked for a year on her own distinctly NZ brand, and also gave us an insight into exactly how much investment, planning and hard work you need to put in to sell your wine and be awarded a prestigious 98 points from Robert Parker. A prize draw followed with some great giveaways. A huge thank you to the women who contributed to the night, and the companies who donated door prizes to support us. A collection of books by Janet Frame, from Women's Press. The proceeds from all book sales will be used to raise public awareness and promote scholarship in the writings of Janet Frame, and to sponsor a blue plaque on her primary residence in London. We finished the night with a networking noticeboard; a concept that will continue to encourage making those critical connections you are looking for within the network. With good food and wine in our bellies departed nourished, and having met a new face or two. Our next event will be held on the evening of Monday 6th September. Founder of the NZ Business Women's Network Bronwen Horton will be back from her four-month adventure around Europe, and we have a divine restaurant and fabulous speaker lined up. Stay tuned for details! Friday 23rd July 2010 - A one day intensive, but gentle, workshop for women combines writing and coaching skills, so that you not only get words on paper - or on screen - but you take away your own personal tool-kit to keep motivated. Train travel, and all food and drink are included - plus there's an optional glass or two of champagne at the end. The cost is £397 per person. Includes train travel, and all food and drink free copy of The Strengths Book from the Centre for Applied Positive Psychology. Breaking Gender Stereotypes - Calling professional women who have left the corporate world and are now entrepreneurs! Check out our tweets for London / NZ events, discounts from Kiwi Kate and NZBWN news at www.twitter.com/nzwomen. Two weeks on from the Modern Pantry Dinner and all I can think about is the Te Mara Pinot Gris. Should any other member of the network be as obsessed with this wine as me I will remind you that the only place - aside from some of London's best restaurants and Air NZ Business Class - that you can access it is to order a case of 6 bottles online at www.temaraestate.com. Our July event was held in the first floor dining area at the Modern Pantry located in Clerkenwell, on a hot London Monday. Following a welcome drink and networking 36 (thirsty) New Zealand women took their places in anticipation of the gourmet food and wine to come. Maggie Eyre, Professional Presentation Coach, introduced Janiene Bayliss, owner of Te Mara Estate and our speaker for the evening. The staff at the Modern Pantry were spot-on in serving both the wines and two courses, specially designed by Anna Hansen. Janiene spoke about her vineyard and elegant wines, and the entertaining and professional summary of what we were drinking and tasting was enlightening. Her advice included what to serve these exceptional NZ wines with. Pinot Gris compliments a meal with a spot of spice particularly well, and Pinot Noir being a bit of a 'cross dresser' looking decidedly red, but thinking it's a white, is a safe bet to serve with most main courses. Following dinner Janiene shared a more personal story of her background as an international brand strategist, how she worked for a year on her own distinctly NZ brand, and also gave us an insight into exactly how much investment, planning and hard work you need to put in to sell your wine and be awarded a prestigious 98 points from Robert Parker. A prize draw followed with some great giveaways. A huge thank you to the women who contributed to the night, and the companies who donated door prizes. The proceeds from all book sales will be used to raise public awareness and to sponsor a blue plaque on Janet Frame's primary residence in London. The night finished with a networking noticeboard; a concept that will continue to encourage building those critical connections you are looking for within the network. We departed nourished, by good food, wine and company. We have seen such a high level of interest in the Gourmet Food and Wine Networking Dinner at the Modern Pantry tickets are now sold out. If you would like to go on the waiting list for tickets please email info@nzwomen.co.uk. 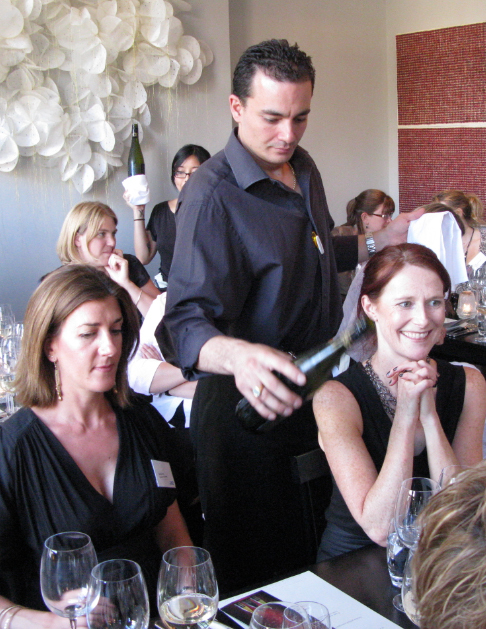 The NZ Business Women’s Network invites you to the second networking dinner of 2010. The evening will include a delicious meal at NZ owned restaurant The Modern Pantry, the opportunity to listen to and be inspired by Janiene Bayliss, owner of Te Mara Estate www.temaraestate.com, as she shares her story, and talks us through a wine tasting with Te Mara Estate Wines. Pricing: The ticket price is £27 per person and includes a welcome drink, two courses and wine tasting with dinner. There will be a cash bar on the night for anyone who would like to order additional drinks. 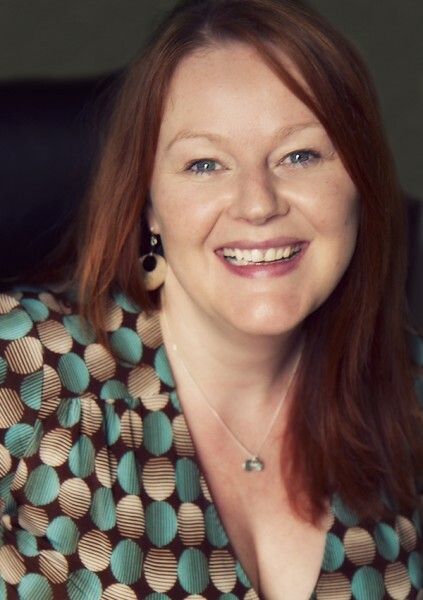 There will be lots of opportunities to connect with other women attending on the night, and Maggie Eyre, specialist trainer in presentation skills and CEO of Fresh Eyre www.maggieeyre.com will lead us through a structured networking exercise. Chef and owner Anna Hansen was the winner of the UK New Zealander of the year 2010. Anna’s culinary philosophy is driven by the desire to please and excite the palate by renewing everyday cooking with modern ingredients and global inspiration. Anna has specially selected our menu for the evening. To get a space you will need to be in very very quickly. There will be no paper tickets, once we receive your payment via secure server via paypal you will be added to the door list. Confirmation that we received your payment will be immediate after paying by both email and onscreen. Anna Hansen named New Zealander of the Year (UK) 2010!